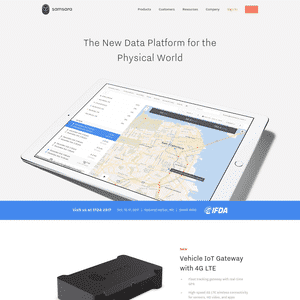 Explore IoT smart sensor and actuator solution providers. 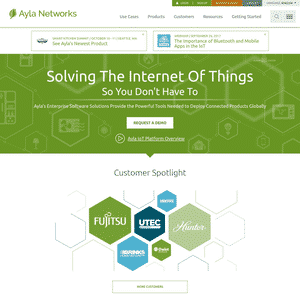 Compare types and technical requirements and protocols across market industries. 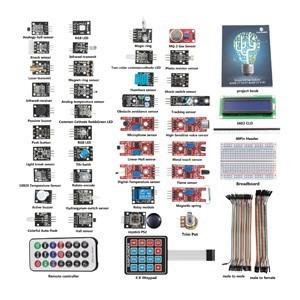 Looking for some plug and play sensor platforms? 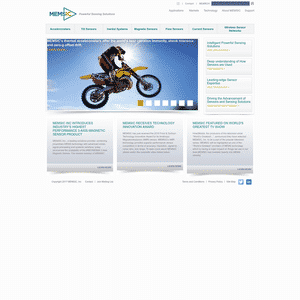 Or some easy to use standalone sensors and actuators? 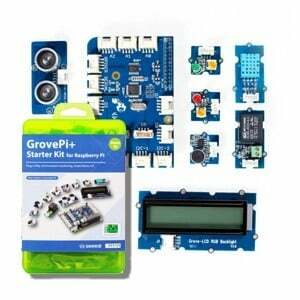 $49.90 - Includes a base shield along with a sound, touch, temp, light and rotary angle sensor. 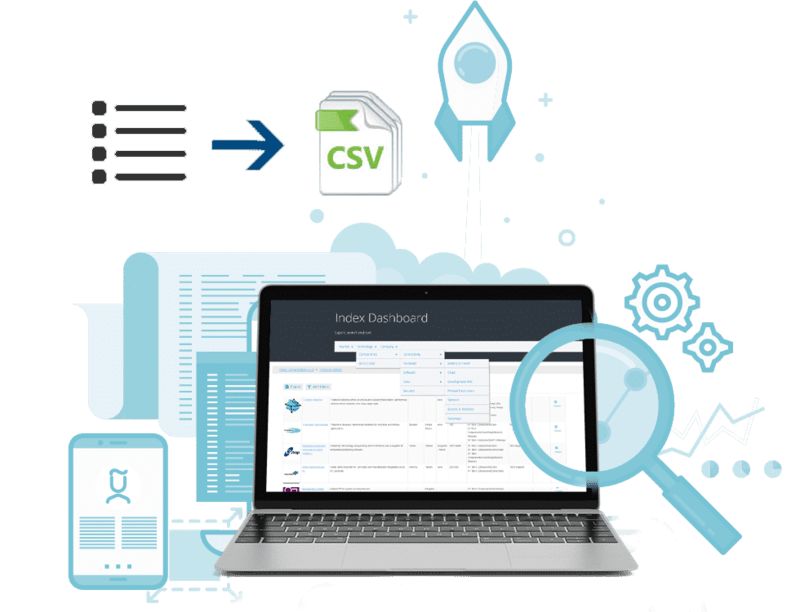 "A community where you can learn how to investigate environmental concerns. 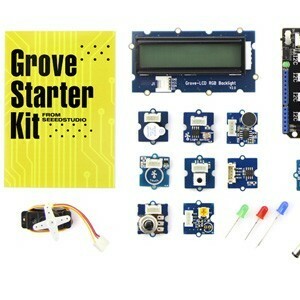 Using inexpensive DIY techniques, we seek to change how people see the world in environmental, social, and political terms." 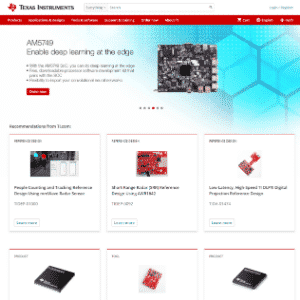 Texas Instruments Incorporated designs, manufactures, and sells processors, MCUs, power management circuits, and sensors. 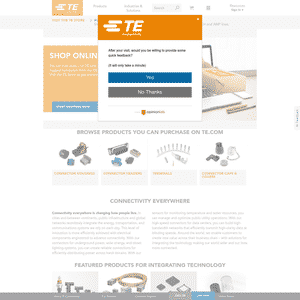 TE Connectivity designs and manufactures connectivity and sensor products. 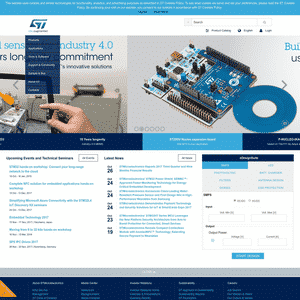 STMicroelectronics N.V. designs, develops, manufactures, and markets semiconductor integrated circuits and discrete devices. 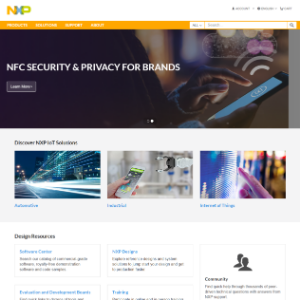 NXP Semiconductors (Acquired by Qualcomm) provides high performance mixed signal and standard product solutions for radio frequency (RF), analog, power management, interface, security, and digital processing products. 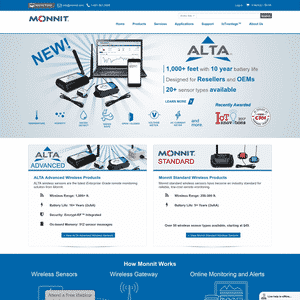 Monnit sells wireless gateways, sensors, starter kits, software, and controllers. 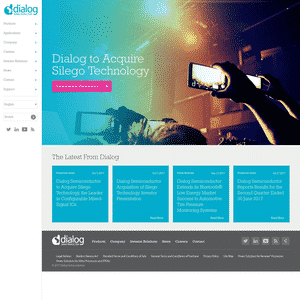 MEMSIC (Acquired by IDG) designs, manufactures and markets CMOS MEMS (Micro-Electro-Mechanical Systems) IC products that have on-chip mixed signal processing..
Dialog Semiconductor develops mixed signal integrated circuits for mobile, tablet, IoT and solid state lighting applications. 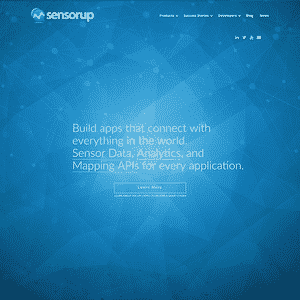 SensorUp develops an IoT cloud platform. 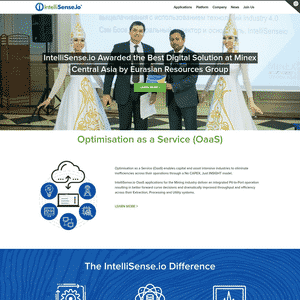 IntelliSense.io provides a cloud platform for the natural resources industries with a focus on mining operations. 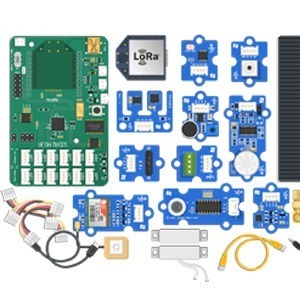 OGC SensorThings API is an OGC standard specification for providing an open and unified way to interconnect IoT devices, data, and applications over the Web. 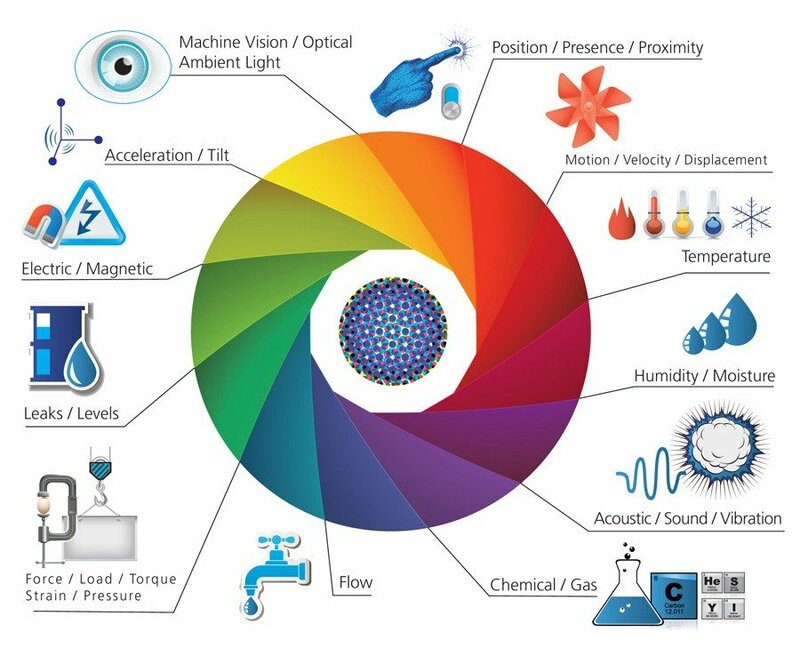 "exploring the notion of general-purpose sensing, where a single highly capable sensor can indirectly monitor a large context without direct instrumentation of objects."